A collaboration with the visual artist James Turrell, this cylindrical skyspace is situated on a hilltop site at a vineyard in Sonoma, California. The skyspace is 18' in diameter by 35' high, and accommodates twenty people. It incorporates an existing water tower on the lower level and is nestled in a hilltop stand of trees overlooking the Sonoma valley. 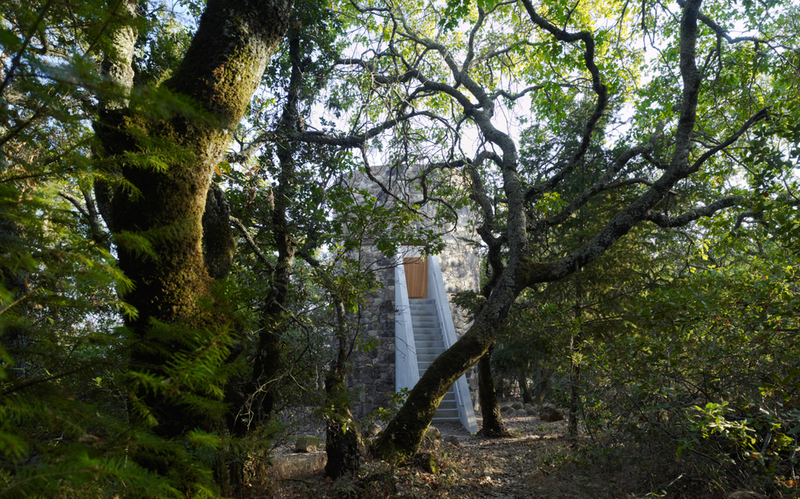 By elevating the skyspace to the second story of the water tower, the oculus opens above the existing tree canopy, preserving a clear view of the sky while permitting the tower's close proximity to the adjacent old-growth oaks and madrones. Clad with Sonoma fieldstone from the vineyard, the tower references the historic masonry construction exhibited elsewhere at the winery – the oldest Pinot Noir vineyard in America. It was set by a stonemason who worked single-handedly on the tower for five continuous months. 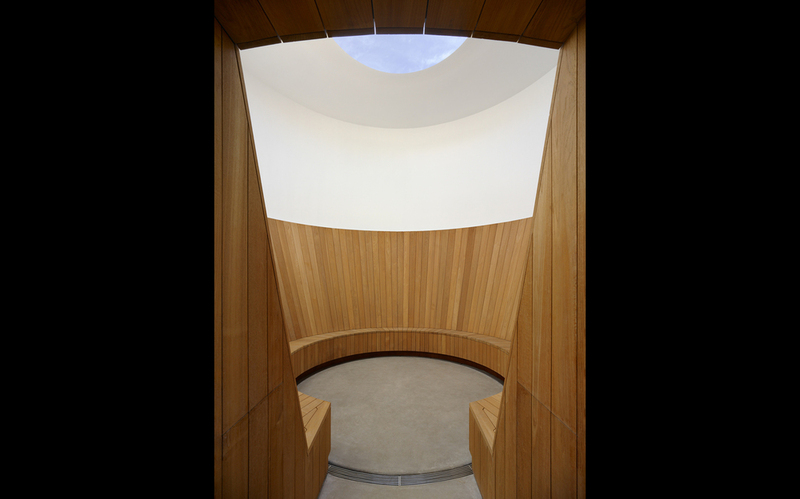 The curved teak benches at the perimeter of the skyspace were fabricated by a boat-builder, and house a ring of programmable LED lights in a hidden trough. During the transition from twilight to full night, the lights are programmed to shift in intensity as they wash the underside of the canopy.